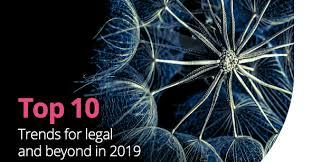 It seems that 2019 is going to change the legal industry, says Exigent’s CEO David Holme in his report “Top 10 Trends for Legal and Beyond in 2019”. Are you ready? Download the report which covers: Law firms are not ready for what business is throwing at it, BlockChain will become real, private equity in law firms, growing LSPs and data security including GDPR.